HomeBlog July 2015 4 Easy Mod Podge Garden DIYs! 4 Easy Mod Podge Garden DIYs! 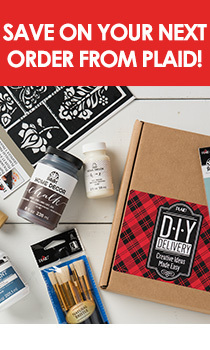 DIYers are loving our Mod Podge Furniture formula for its extra durable finish! It's ideal for large furniture pieces or crafts that may need a bit more protection. Trays are an easy decorative accent and way to add color or a pop of pattern to any space. Customize an existing tray with the paper of your choice in this easy project. Mod Podging a watering pail makes this everyday item extraordinary! Plant herbs for your own windowsill or a friend's in these adorable accented clay pots! Lastly, a photo frame becomes a useful (and decorative!) piece of wall art when you transform it into a ribbon bulletin board.